One of the most respected and honored professionals in the travel industry, Eric Sheets, releases a new website that helps travel aficionados experience a customizable luxury expedition to a leading travel destination - the Galapagos Islands. Galapagos Excursions is the travel company that will make your dream trip to South America or the Galapagos Islands come true. We create upscale and highly personalized travel itineraries. The new Galapagos Excursions website places this popular adventure vacation destination at the fingertips of travel planners. Although the Pacific island chain is remote, the Galapagos Excursions website (http://www.galapagosexcursions.net) now helps vacationers easily design a custom itinerary from the comfort of home. Prior to beginning Galapagos Excursions, Eric Sheets founded Latin Excursions, which took advantage of his experience planning trips for small personal and business groups. The company is fully licensed by the State of Florida, and has regional offices fully equipped with experienced tour guides throughout Latin America. The company takes tourists on fully planned tours, which are highly customizable and include multiple-night stays on a variety of luxury, first-class, and moderate-price yachts. Tourists also have the opportunity to stay at many different luxury hotels and villas and engage in a variety of activities such as scuba diving. In addition to providing Galapagos travel, vacationers can also add popular Latin American destinations to their travel plan. Galapagos Excursions offers combination and add-on tours throughout South America including the Amazon River basin, Andes Mountains and historical locations such as Machu Picchu. As someone who understands the unique needs of the marketplace, Sheets understands the allure of tourist destinations outside the typical offering. “Travelers are in need of a unique escape, and not everyone feels the same way about selecting a vacation destination. People want something different, something amazing, and something to remember over the years,” said Sheets. 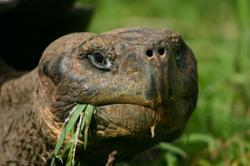 Galapagos Excursions is a division of the award-winning travel consulting company, Latin Excursions. The company focuses on Galapagos island tours, trips throughout Ecuador and Peru, with stops by amazing destinations throughout the Amazon and Andes Highlands. The company was founded in 2001 in Miami, Florida, and has several regional offices throughout Latin America.